Seems like old times, if your idea of old times includes primal American Gothic family mythology, estranged brothers with dual identities, twisted vistas of cowboy country, exiled desert-rat fathers, giddy bemusement with kitchen appliances and the absurdly comforting menace of food fights. What I mean is that Sam Shepard is back in town. More precisely, I mean the town is suddenly back in Sam Shepard-land, a deeply scary, often deliriously entertaining place where the open road belongs to outlaws and the outlaws just might be your relatives. On Wednesday, a new play called "Ages of the Moon" has its American premiere at the Atlantic Theater Company. This is the production from Dublin's Abbey Theatre, with Stephen Rea ("The Crying Game") and Sean McGinley playing old friends at a bar. And previews begin Friday for The New Group's revival of his sprawling 1985 drama, "A Lie of the Mind," directed by Ethan Hawke, with a cast that includes Keith Carradine, Laurie Metcalf and Josh Hamilton. There was a time, not so long ago, when work by America's most charismatic and elusive Pulitzer Prize-winning movie star was a major presence in New York theater. His three big late-'70s family plays - "Curse of the Starving Class," "Buried Child" and "True West" - carved out a rugged territory that influenced a generation. But Shepard has never been so easily domesticated. Despite his identifiable movie self as Chuck Yeager in "The Right Stuff", his plays are hardly easy glamour. His scripts have been star magnets, but the characters are dangerous. When he writes about families, they aren't the kind celebrated in political speeches. The language has the stark, dry irony of jazz and the raucous surprise of good rock and roll. 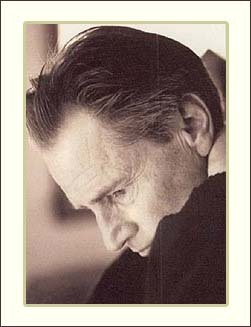 As Don Shewey, Shepard's excellent biographer, puts it, "A typical Sam Shepard play is the theatrical equivalent of an optical illusion. It messes with your mind." In fact, Shepard did not have a play on Broadway until Chicago's Steppenwolf Theatre brought its terrific revival of "Buried Child," his Pulitzer-winning tragicomedy, in 1996. And that failed to attract a broad audience. Although he had written more than 50 plays since he flourished in the off Off-Broadway cauldron of the '60s, he didn't have a Broadway hit until "True West" was revived in 2000 with Philip Seymour Hoffman and John C. Reilly alternating as the Cain-and-Abel brothers in a wildly enjoyable production directed by Matthew Warchus ("God of Carnage"). John Malkovich and Gary Sinise burst onto the world in this play in 1982, but that was Off-Broadway. The Signature Theatre, which devotes an entire season to a single playwright, had a rare misfire with its attempt to mainstream early Shepard in 1997. In 2001, the Signature produced "The Late Henry Moss," a mildly enjoyable retread of the Shepard canon, which starred Hawke as one of the renegade brothers. Three years later came the underappreciated "God of Hell," which I loved - an apocalyptic satirical tragedy that starred Tim Roth as a Washington agribusiness devil visiting a dairy farm run by Randy Quaid. Last year saw another small work, "Kicking a Dead Horse," starring Rea as a grumpy art dealer whose horse dies while he searches for "authenticity" in the Old West. I think people expect a Shepard play to look somehow like Sam Shepard, the movie star. He did appear in his own work in his early days downtown. In 1971, he and lover Patti Smith starred together in "Cowboy Mouth," which they co-wrote, and he was a drummer in Bob Dylan's Rolling Thunder Revue in 1976. But Shepard hadn't been on the New York stage for 30 years when he was coaxed back in 2004 to appear in Caryl Churchill's "A Number," the 65-minute exploration of cloning and the meaning of identity. He played a widower whose son learns there are "a number" of others just like him. Shepard, a hawk-headed giant with a long crew cut and the scrubbed outdoor face of a farmer, seemed like a lean, long-boned original. And so he is. He is famously private. He and Lange have two grown children - Hannah Jane, 25, and Samuel Walker, 23. He has a son, Jesse Mojo, from an early marriage. She has a daughter, Aleksandra, with Mikhail Baryshnikov. Shepard, born 67 years ago in Fort Sheridan, Ill., was moved from South Dakota to Utah, Florida and Guam before his military family landed on an avocado ranch in Duarte, Calif. He escaped to New York with a traveling theater company, then escaped New York theater for a long creative period at San Francisco's Magic Theater, then escaped Hollywood by owning horse farms, including one in Lange's Minnesota hometown. His last published address - from a DUI arrest report in Central Illinois last January - is Midway, Ky. He just published his latest collection of short stories, "Day Out of Days." He co-stars in "Brothers," Jim Sheridan's movie about the war in Afghanistan, and plays the patriarch of a Nashville music clan in "Tough Trade," a TV series on EPIX, a new pay-cable station. And we have two plays. "Lie," which ran almost four hours in 1985, and the brief "Ages of the Moon." Shepard's theater gets more and more concise, more like a cowboy Samuel Beckett. As he once said to a pesky journalist, "The only really intimidating thing in life is a bad horse." Dare you not to believe him.